Editor's Note: You can play Fallout 4 for free this weekend on PC and Xbox One, so why not check out these awesome sidequests? The world of Fallout 4 is huge, and it's filled with quests to do. Outside of the main story quests, there are numerous side quests, and even quests that pop up from the Minutemen as well. You probably won't do every one of them (unless you're me), but you should definitely make sure and find these eight quests, as they're some of the best the game has to offer. NOTE: There may be some mild spoilers here, but we'll try to avoid anything major. 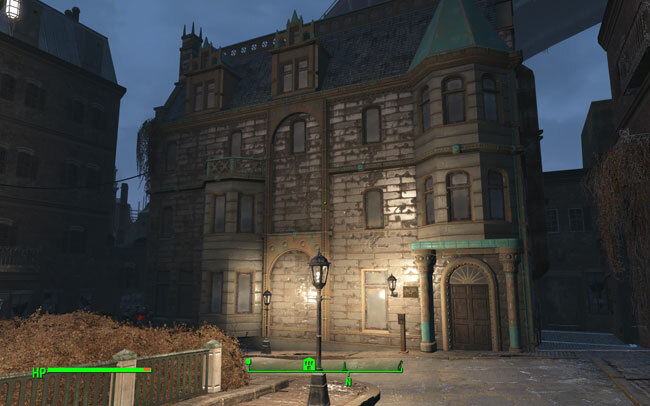 The world of Fallout 4 is filled with people scraping out an existence in harsh, unforgiving conditions - and then there's Cabot House. The inhabitants live in luxury, in a home that the war apparently decided to give a pass to. That's weird enough, but when Jack Cabot asks you to find a mysterious serum, things start to get even stranger. We won't spoil the outcome, but suffice to say that you may have more in common with the Cabot family than you realize at first.